Do you FIGHT about food during the holidays? I’m willing to bet that you don’t eat the same as your extended family. Or your neighbors. Or your church community. In fact, if you’re reading Kitchen Stewardship, you’re likely someone who goes against the flow. And while the achievement of taking many baby steps toward better nutrition for your family feels GREAT and deserves celebration — it doesn’t always make things easy when you leave your house, especially to go to celebrations!! One of the most common topics readers ask me about is how to deal with family members who don’t see eye to eye on food philosophies, whether it’s grandma feeding the grandchildren, spouses refusing veggies at the dinner table, or the dreaded family get-togethers where everyone is eating food coloring and sugar in all possible forms. I don’t really have to go into detail or use examples for you to know that these situations are very difficult, especially if you don’t like conflict or tough conversations. What’s a real food eating family to do? Turns out, the culture we generally walk against expects us to fight – family fights, especially at the holidays, are the norm. It was quite a few years ago now that I realized how the media encourages this “norm” and pushes us to embrace the idea. It started with an exciting email. You see, I get public relations pitches numbering around a dozen a day. Some of them are for processed foods, recipes folks want me to share, and a surprising number for financial advice and adult beverages. Seriously. I buzz through my inbox and delete like crazy, but every so often something interesting catches my eye. The one from Anderson Cooper’s office was one of those. I’ve “known” Anderson Cooper since he was a Channel One News anchor. I watched him every day at high school before classes began. Getting an email from his office saying, “After reading your blog, I was interested in working with you on an idea we had for an upcoming show. I hope to hear from you as soon as possible,” was beyond exciting. I actually called that second (which is totally not like list-making plan-it-later Katie). After I talked a very little bit about my experiences, I could tell that I wasn’t giving him what he was looking for. I saw some conversation from other bloggers about the same topic that week, and one of them quipped that a story about a family that doesn’t have any conflict at the holidays would be much more newsworthy. Does Everyone Argue During the Holidays? The holidays we’re talking about, specifically Thanksgiving and Christmas in our family, are really about family togetherness. Thanksgiving is a time to appreciate our history as a country and be thankful for what we have. If you’re fortunate enough to be getting together to share a meal with family, I pray that they are tops on your list of gratitude. Christmas, the holy commemoration of the birth of the Christ Child, who came to save us all from our sin, should surely be a time to rejoice and be glad, not pick on each other and have conflict. 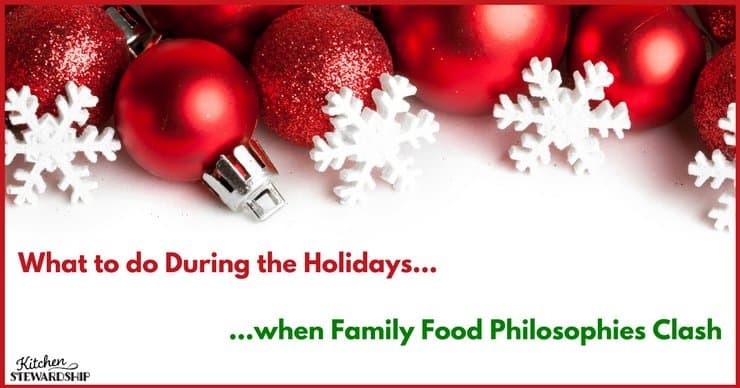 It’s a sad world when “holiday,” “family,” and “conflict” automatically go together, when a joyful family holiday sounds like breaking news instead of just breaking bread together and appreciating one another. Family conflict is as common as turkeys and brightly lit trees when it comes to recognizable holiday images. I started composing a response to the Anderson Cooper show email, but then I realized I could easily be wasting my time writing to one person who had a singular goal, when I could encourage thousands to have a more joyful holiday season. You see, I don’t see any reason that a family should have conflict over organic food. If you eat optimally 80% of the time, fudging your diet 20% of the time (without gorging on true poisons like trans fats the entire 20%) won’t kill you. Even if you’re just 90/10, you can count Thanksgiving and Christmas in the “10%.” For those with allergies, of course it’s VERY important that family gets on board, and I pray that you can find ways to make it work without stress or conflict. Mary’s story of why she secretly loves her kids’ food allergies inspires me!! It breaks my heart that there are people out there who would cause disunity and strife in their family just because of organic food. Personally, I don’t even eat organic food all the time myself, probably not even 75% of the time. I can’t justify the cost in every situation, and I certainly can’t imagine expecting my entire extended family to fork over big bucks for organics for one special day, particularly if they felt that they had to just because I thought it was important. The mission of Kitchen Stewardship is founded upon balance, striving to figure out how to stay within a budget while prioritizing nutrition and being gentle to the earth. It’s not easy, and I certainly don’t expect my family to achieve the balance at the holidays. For one meal or one day, those who would cause conflict over special foods truly need to lighten up and embrace the 80/20 rule. Have a hearty, nourishing breakfast, make sure your contribution is super healthy and incredibly tasty, something that your own family will max out on (or bring multiple dishes! ), and detox the next day. Enjoy it. My personal goal is always to volunteer to bring an appetizer so my kids eat it first, and I make it as nutrient-dense as possible, plus I often bring one other thing that I know my kids love. I hope they’ll eat it and work hard not to stress about the rest! But having good recipes that other people love has been a godsend. The KS community chatted on Facebook and Twitter about this issue when I brought it up so many years ago, and it seemed that people were fairly focused on family, and a tiny bit on food. Many solved the conflict possibility simply by bringing their own or offering to cook/host, and many more simply said they wouldn’t sweat it. Then there were the lucky ones whose family just eats the good stuff anyway. from Erin Odom, The Humbled Homemaker: I think relationships always trump real food. Eating bad a few times a year for the sake of Christian fellowship with your family is ok. I would never want my love for real food to sever my relationships. from Alea of Premediated Leftovers: I don’t argue. I remain firm that my children cannot have gluten and dairy for health reasons, but I remain flexible on other issues for occasional family dinners. When an opportunity presents itself, I will gently educate. Of course, one of the best ways I have found to “sell” real food is to host dinners at my house. from Melissa Naasko, author of Fasting as a Family: Since I host Thanksgiving (we have the most room) I prepare lots of real food. We never fight, but graciously accept whatever relatives bring. Honestly though, my kids know and appreciate real food and choose to eat it. But if one of them eats *something else*, it really is only one day. What About More than One Special Day? 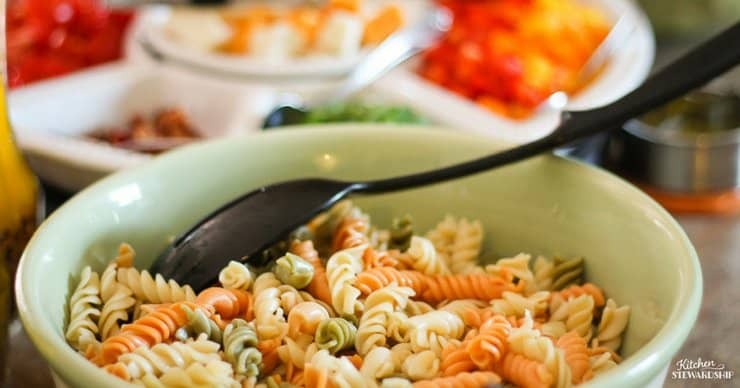 Pasta salad bar, above, a great way for everyone to eat something they like! Grain-free? Eat the salad part! Picky kids? Pasta with noodles! And everyone can contribute some toppings if you organize a list! 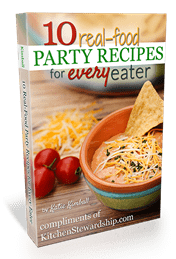 Do the same thing with baked potatoes, Mexican food, build-your-own pizza and more! During these last two months of the year, it can be hard enough to get together with family. There’s already incredible conflict over timing, who celebrates with whom, multiple sides of the family, gift giving and other traditions. If you really want to eat well during the holidays, spend less time worrying about the food – neither nutrition, frugality, nor beauty – and spend more time appreciating your family and the fact that you’re gathering to break bread…whether it’s white bread, whole wheat sourdough, or cardboard. Next Post » Best Kitchen Tools for Foodies — from a Bunch of Bloggers Who Love to Cook! I’m sorry you (probably) won’t get on the show…but very well written! Thanks for the reminder(s) of the most important things! Timely, Katie, and I fully agree with your 80/20 rule! Long live the 80/20 rule! It will make many family get-togethers better! You make good points, Katie. Beautiful post, Katie! I think there’s danger when our food choices become our idol. God’s bigger than pesticides (and even trans fats! ), and while I do think He asks us to be good stewards of the bodies he’s given us (and the way our bodies work when being fed properly is amazing! ), I don’t think it should ever, ever come above relationships! What you said is so true! I have to continually remind myself that God is bigger than the “evil” foods that we avoid. I was so uptight about it for the first few months we ate whole foods, and then realized that living in fear of pesticides and preservatives isn’t at all a godly mode to be in! I even just read an article about how amazing our body’s detox system is, and how it flushes out almost all the toxins we eat. So if I’m feeding my kids great foods almost all the time, I don’t need to worry when someone hands them goldfish at a gathering. I used to lunge at them and swipe the goldfish away before they could eat any (which, of course, doesn’t make for a happy toddler! ), but I’m learning to let it go and remember it won’t truly hurt them. I’m definitely the odd one out in my family over this, but I definitely don’t sweat it at the holidays! Part of the way I think about it is that people are spending so much money this time of the year trying to give back to others and enjoy life, that the expense of all organics would be an added burden anyway and take away from the good times. Love your 80/20 rule though.. I need to keep getting myself on board with the 80! Such a great post, Katie! Very well said. The quotes from The Humbled Homemaker and Quick and Easy, Cheap and Healthy were spot on as well. Great conversation! I try to live by the 80/20 rule too. Holidays and birthday dinners fall into the 20% of tastes good but not so healthy food. My side of the family has Thanksgiving food conflict but it’s sadly not about organic/healthy food. My mother INSISTS on the same menu every.single.Thanksgiving. (complete with her dry 14 hour in the oven turkey) any time my foodie sister and I bring something different as a side dish or dessert, we’ve automatically “ruined” dinner. Sigh. Oh, so sad to not be able to experiment with new recipes when feeding family! Bummer! We have a wide variety of “healthy” eating diets in my extended family: low fat/margerine types, vegetarian, granola, etc. Fortunately, we don’t fight. We bring what we want, eat what we want, and may avoid a dish from a certain person, but it’s all about family. “Orthorexia” While any mode of eating can certainly become an obsession and go overboard for a small percent of people, in my experience, this word is commonly applied to anyone who focuses on eating more healthily than the person labelling them. Anyhow, I certainly agree that family celebrations are no place for contentiousness over food. We do something similar – I make the turkey and the traditional sides I want, my parents (who are on a special diet) bring side dishes, we all eat what we want and try to sample other options. I love this post! This is exactly how I feel. And it clears up the mystery why Anderson Cooper was trying to contact me as well, lol. He wouldn’t have gotten much out of me, either, so now I’m happy we never connected. Thanks for this great post (and for quoting me, lol). I always quote the Humbled Homemaker: family trumps real food. Stacy, you are too sweet–and too funny! I’m sure I’m not the first to coin that phrase! What to do when you’re on the “unhealthy” side of the family? We’re not really unhealthy, but in some other family members’ opinions, we are. Basically, if it’s not grown or raised in their own yard, they won’t eat it. (I’m being totally serious.) It’s gotten to the point where they turn down invitations to everything because they don’t want to eat our food. Anyone else on the “unhealthy” side of the fence? What do you do when your food is just not good enough even though you try? MaryEllen, I don’t really have any advice for you, but I am so sorry your family is like that! I’ve experienced similar treatment from family, over different issues, and I know how hard it is to feel alienated from the very people who should be showing you unconditional love. You have to remember that they’re mising out by choosing not to spend time with you and that’s their choice, no one forces them to behave that way. I pray that in your family, as well as mine, God will find a way to change those ingrained attitudes! Great Post – This is the kind of thing I like from KS!!! Great points, Katie. I was getting so upset this week because we had to buy a conventional turkey, which is treated with a couple different chemicals to “optimize flavor and juciness.” The only option for avoiding them was to buy an organic turkey for $50, which simply isn’t in our family budget. 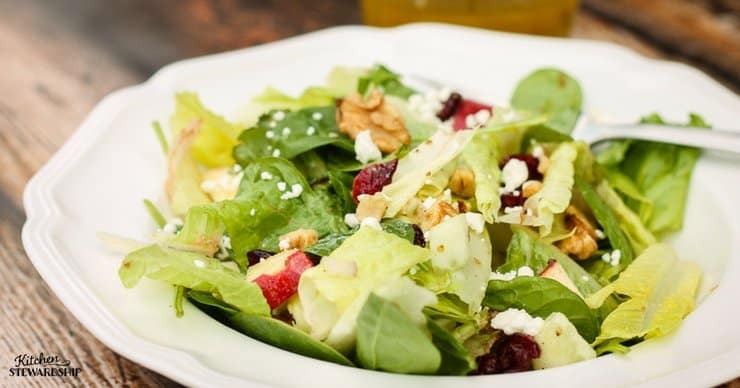 I finally realized that I need to refocus on the whole 80/20 idea and let it go, so I will keep our side dishes as natural and delicious as I can and I will not lose the focus of Thanksgiving – THANKFULNESS for all we have!! Baby steps! My partner’s cousin hosts Thanksgiving for as many relatives as can attend, usually about 20. In my early years there, the group included his wife’s parents, who have now passed away; his father-in-law was diabetic, so his mother-in-law always brought a sugar-free “Jell-O mold” as she called it, so that FIL could have something sweet while the rest of us were enjoying the large array of sugar-sweetened desserts. Being very sensitive to artificial sweeteners, I was relieved to be informed about the Jell-O. Several relatives joked about not eating “mold,” but the teasing was not such that it hurt MIL’s feelings. There are now several vegetarians in the family, and not only does nobody pressure them to try the turkey, but the cooks make a point of telling them which foods contain meat ingredients, making a separate pan of vegetarian stuffing, etc. I hit “submit” by accident! I meant to add that my family, normally vegetarian except for fish, does eat turkey at Thanksgiving when we go to the family celebration. It’s a special occasion, so if we feel like eating turkey we may have as much as we want. I always host Thanksgiving so it’s more comfortable for my divorced parents/step father to share the holiday and we have never had one single holiday fight! I think this really hit the spot with me. 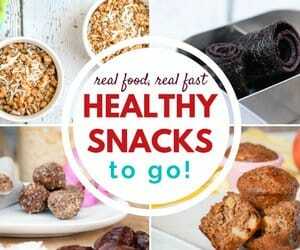 I’m new to real food and the improvements in our health make me scared when we go somewhere for the holidays. But then I realize I’m not trusting God! I do have a couple of questions. 1) Besides allergies, are there still certain ingredients you try to stay away from (HFCS, artificial sweeteners, MSG), or do you just let it go? And 2) When we stay a few days, if we aren’t eating leftovers, everyone else wants to go out to eat at fast food places. How do you balance that even when offering to cook doesn’t go over well? Thanks again for this post! It opened my eyes!! Congrats on making some big steps on the healthy eating journey!! Thanks for this! I did buy a better form of Cheetos, and we stuck to bacon over the little smokies. I just don’t like confrontation so thankfully nothing came up this year. I can just see everyone giving me a hard time when I turn a bag or box over to check the ingredients. And telling me a little won’t hurt, and to let the kids be kids! Anyway, we will see how Christmas goes. Any advice on how to handle the arguments with artificial sugars and MSG? The little smokies are on the menu for Christmas!! We make healthful food choices in our home due to some major food sensitivities in our children. 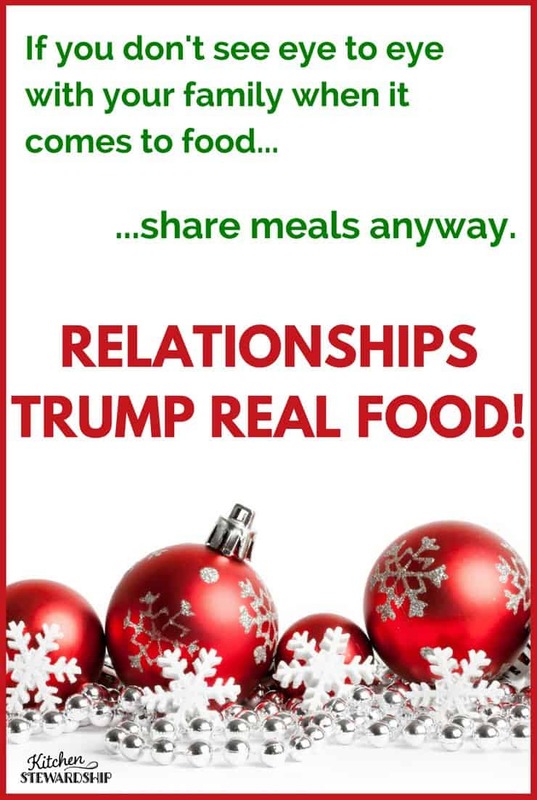 But family relationships are way more important than food choices. This year my sister-in-law brought the pumpkin pie. Her husband recently lost his job and they are struggling financially and now it is the holiday season. They really wanted to bring something to dinner like everyone else, so she brought pies. I will never know the sacrifice it took to make them. I didn’t ask about a single ingredient. I simply said thank you and made sure I ate a slice!